It’s been my new years resolution every single year to take better care of my skin. It always starts off well at the beginning of the year, planning a strict skincare regime and buying a ton of products. However, it only takes a quick trip into Boots and an offer on face wipes to lead me astray and I’m back to my lazy routine all over again. This year my skincare resolution is all about moisturisers, especially now that I’m in my early 20s. If there’s something about the application of moisturisers which makes it the least enjoyable part of skincare, that would be the amount of time it takes to settle into the skin. If I have an early start in the morning, I like to stay in bed for as long as possible, put my makeup on and run for the bus at the last possible moment, I hate waiting about. This process of waiting has been cut short now that I’ve discovered a skincare range which works for me finally, enter La Roche-Posay. La Roche-Posay is a French skincare brand which specialises in dermatological products which are extremely specific to the needs of consumers. You only have to visit their website to see the depth of information and research that goes into their products, it’s almost overwhelming. I fall under the Oily Skin with Imperfections category, specifically using the Effaclar range of products. The Effaclar range includes 9 products which help control oily skin and imperfections which occur by using over drying skincare. Don’t worry, I wouldn’t say you needed all 9 products, but it allows you to choose which is right for you which is a huge bonus. From the Effaclar range I managed to restrain myself and only purchased two products, the Effaclar Duo and Effaclar H.
You might have heard of the Effaclar Duo, it has certainly been making its rounds on the blogosphere lately. This product is a dual action anti-imperfection moisturiser which helps unclog your pores and reduce skin imperfections. The product applies quite like a serum or thin moisturiser, easy to apply and sinks into the skin very easily. I will admit at first when I started using the product my skin started going a little crazy, I broke out quite a bit. It was only until I persisted with the product that I found it was bringing all of the nasty stuff out of my pores to the surface. After the purging stage my skin did improve, the redness went down and my skin looked much clearer than before. I still have a few blemishes but each day I can see the texture of my skin improving. Give it some time to work it’s magic and you won't be disappointed. I wasn't originally after the Effaclar H product. The description of the product sounded like everything I was looking for in a moisturiser. On the box it reads: “Oily skin made fragile by over-drying skin care”, say no more! My oily skin has never felt so dry lately so this product came at the perfect time. It’s enriched with Thermal Spring Water which calms the skin and reinforces the skin's protective barrier which has become weak due to over-drying skin care. It’s very easy to apply and my skin feels very calm and moisturised, just the right amount. As for my everyday skincare routine, I prefer to use Effaclar H in the morning and Effaclar Duo in the evening as I feel H protects my skin more during these winter months during the day and Duo does it’s job in the evening, improving my skins texture. 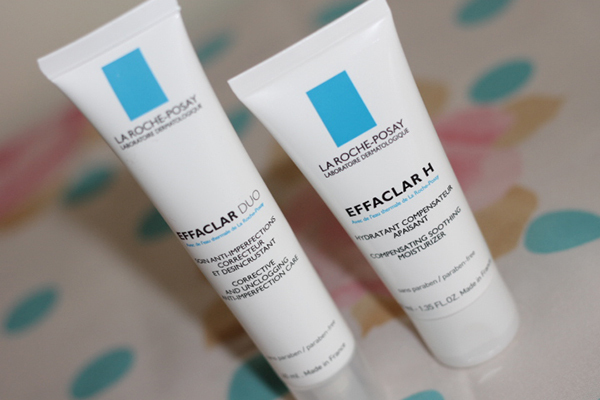 I'd highly recommend the La Roche-Posay Skincare range, I also have the Thermal Spring Water and a product from their Hydreane range to try out for more sensitive skin days but for right now the Effaclar range is all I need. I hope you found this review helpful, please let me know if you've tried any La Roche-Posay products and what you thought. 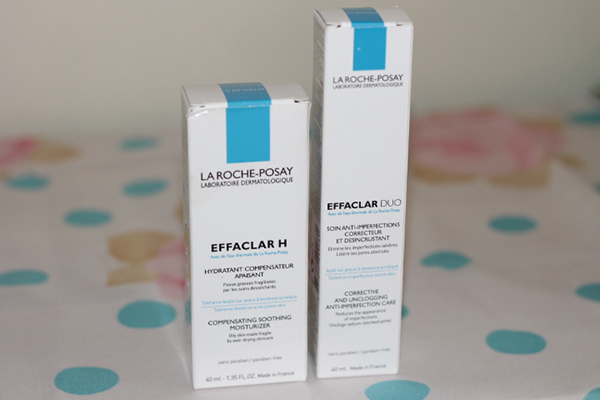 I purchased my La Roche-Posay products from Chemist Direct, I'd highly recommend them as the products arrived within 1-2 days after ordering and were cheaper than anywhere else!